Want a quick home remedy to ease the symptoms of acid reflux? Aloe Vera is a natural agent that is proven to relieve heartburn and reduce the risk of acid reflux. Aloe has certain healing properties that soothe the esophagus tract, providing you relief from irritation. To reduce the symptoms of acid reflux, drink ½ a cup of aloe juice 20 minutes before your meals. It is integral you start with a small dose to prevent digestive problems, such as stomach cramps and diarrhea. You may gradually increase your dose. The juice can also be diluted with warm water or any non-acidic fruit juice to improve the taste. Some baking soda just might be the end of that burning sensation in your chest caused by acid reflux. Baking soda is a base substance that neutralizes stomach acid. You may mix between ½ and 1 teaspoon of baking soda with a glass of water. However, do not make this your to-go remedy if you constantly suffer heartburn. Baking soda is high in salt and may cause side effects, such as swelling and nausea. Besides eliminating bad breath, chewing gum is also effective in treating heartburn. A small study that was a part of the Journal of Dental Research revealed that people with gastro esophageal reflux disease (GERD) symptoms or chronic heartburn experienced relief if they chewed on gum (sugar-free) for 30 minutes after a meal. It might sound too good to be true but chewing gum stimulates the salivary glands, thereby increasing the flow of saliva. The built-up saliva then dilutes and washes away the acid much quickly. Too often, acid reflux is a result of having too little acid in your stomach. It might seem counterintuitive but a little acid intake can actually improve your heartburn symptoms. Improve acid content by mixing 1 tablespoon of unfiltered, raw apple cider vinegar in a large glass of water. Drink this solution before each meal or before bedtime. If the drink worsens your symptoms, do not continue to ingest it. Snack on a banana to reduce heartburn symptoms. Fruits such as bananas and apples contain natural antacids that act as a buffer against acid reflux. Head over to the farmer’s market and buy a bunch of bananas and allow them to ripen up nicely before eating one every day. If you are not a fan of bananas, snack on apples instead. Remember to eat the fruits a couple of hours before bedtime to prevent discomfort. The delicious condiment might just help you relieve heartburn. 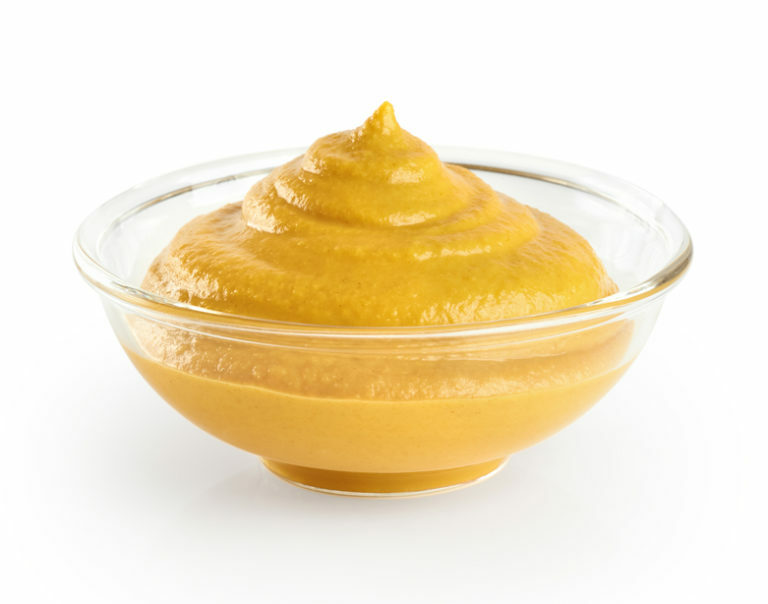 Mustard is an alkalizing food enriched with minerals. Additionally, it also contains a weak acid in the form of vinegar. Because of its alkaline properties, mustard is highly effective at helping you neutralize the acid creeping up your throat. A teaspoon of mustard is likely to be beneficial if you feel a bout of heartburn creeping up. From easing stomach woes to helping with nausea, gingerroot tea is the perfect solution to acid reflux. Sip on a hot cup of gingerroot tea about 20 minutes before meal time to calm down the acid in your stomach. Drink a cup of gingerroot tea twice a day until you are satisfied with the results. Similar to Gingerroot tea, chamomile tea is also effective at blocking acid. Enjoy a hot steaming cup before bed to soothe stomach inflammation and help you get a good night’s sleep. Drink a cup of chamomile tea twice a day until you are satisfied with the results. Tight fighting clothes are generally a no-no if you suffer from heartburn. A tight pair of jeans or a tight belt can exert additional pressure on your lower esophageal sphincter, causing stomach content to push their way up. With a pH of 6.9, fennel seeds are effective for treating heartburn along with other health conditions, such as bloating, indigestion and constipation. Fennel is made up of components such as limonene fenchone, pinene and trans-anethole, all which in turn help in treating heartburn. For this remedy, simply chop up the bottom part of a fennel into thin slices and use it to make a wonderful salad. You can incorporate baby spinach and other kinds of crunchy vegetables, Or you can simply munch on some fennel as a snack. Carmon seeds are known to be effective for treating heartburn and other gastric problems. Carmon seeds are among the finest Ayurvedic remedies for gas and heartburn. These seeds act as antacids and have the capability to soothe the mucous membrane in your stomach. For this remedy, simply gulp down a teaspoon of carmon seeds with a pinch of black salt and some water. Tomatoes may cause acidity for some people but may be perfectly fine to consume for others. If you suffer heartburn, it is imperative you track your triggers. Start by maintaining a handy food diary and make a note of whatever you have eaten throughout the day. This will help you understand your heartburn triggers. Avoid those foods in the future. Want to treat heartburn? Start snacking on almonds. Almonds are a natural remedy for heartburn and should be consumed after every meal or every snack you ingest. These tasty nuts neutralize juices in the stomach, relieving and preventing bouts of heartburn. When you are lying down, it becomes easier for the digested contents to make its way up the esophagus. Avoid lying down within 3-4 hours after eating. Additionally, the next time you take a nap or go to sleep, try elevating your head by placing blocks or bricks underneath the head of your bed. Do not simply pile up extra pillows as they are likely to fall off when you are asleep. Slippery elm is a traditional remedy that is used for treating burns, boils, skin inflammation and ulcers. The herb contains mucilage, a compound that turns into a sticky gel when it is mixed with water. In the case of heartburn, slippery elm works by creating a coat of mucous in your stomach that acts as a barrier against acid, preventing it from finding a way up into your esophagus.